At CBD School our mission is to educate the masses on the benefits of CBD and provide real-life reviews of available CBD products on the market. Every product review we offer is done only after we’ve had an opportunity to test each one. Tough job we know, but somebody has to do it. Before we get right into Medix CBD products, let’s talk a little about the company itself. Because CBD isn’t regulated, anyone can claim their CBD is legit even when it’s anything but. It’s vital to find companies that are passionate about providing high-quality products that have been third-party tested. Medix CBD products are derived from hemp harvested from the “finest hemp cultivations” in Kentucky. Why is Kentucky hemp superior to hemp cultivated in other places? For one, the environment and soil conditions in Kentucky are perfect for growing hemp. In fact, hemp grows so good in Kentucky that it was once the largest producer of hemp in the US, with thousands of acres of the crop grown each and every year before it was banned in the early 20th-century. Originally based in the UK, Medix CBD worked with other CBD brands before creating a product they believed was ready to share with the world. All of Medix CBD products are third-party tested by an independent lab. The results, however, aren’t made as easily available as some from other companies. Rather than posting results online where they can be effortlessly accessed, lab results must be requested by phone or email. Not that this is that big of a deal, but you won’t be able to immediately access third-party lab test results. Keep in mind that it’s important to have a way to review these results as hemp absorbs whatever is in the soil it’s grown in (a process known as phytoremediation). To get the latest lab results from Medix, simply contact them and one of their friendly team members will get you what you need. It’s important to be aware that many of Medix CBD products are made with CBD isolate, rather than full-spectrum CBD. While some people prefer CBD isolate because it doesn’t contain any traces of THC, it’s well-known that full-spectrum CBD may offer unique benefits. This is because full-spectrum CBD contains other beneficial cannabinoids and terpenes that are thought to work together to produce what’s known as the entourage effect, which suggests that cannabinoids work better together than they do when isolated by themselves. That being said, CBD isolate contains zero THC and is be excellent for people who can’t have THC is their system because of drug tests or the laws in their area. Medix CBD products offer this security by producing high-quality CBD products made specifically with CBD isolate. Medix CBD has created a well-rounded line of products infused with high-quality CBD isolate. 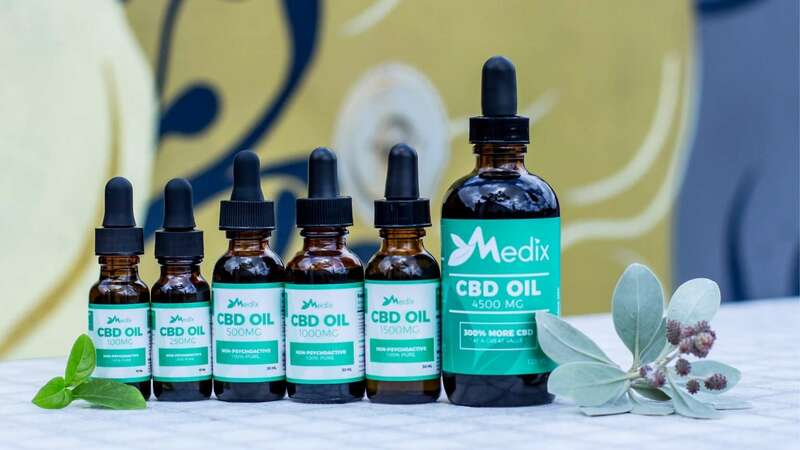 From tinctures for both you and your pets to CBD gummies galore, there’s basically something for everyone from Medix CBD. That’s one of our favorite qualities of the Medix product line! CBD gummies are a fun, easy, and delicious way to get your daily dose of non-intoxicating cannabidiol. 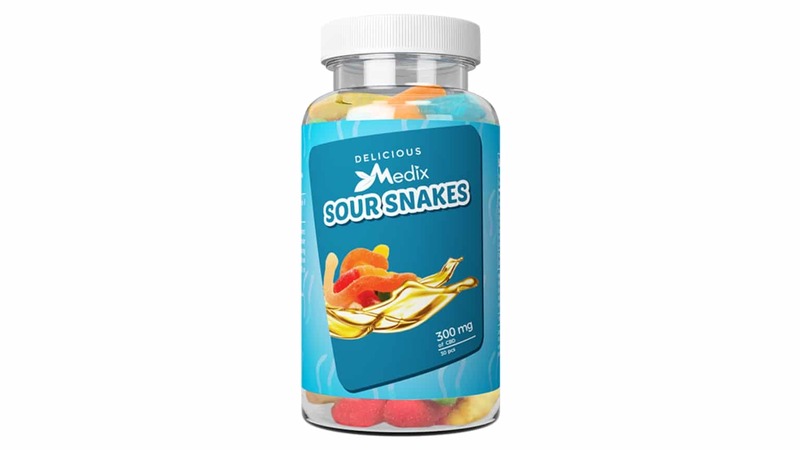 Medix CBD understands the appeal of these sweet sensations and has created a line of five various gummies to choose from. For those that like to keep things simple, Medix CBD CBD-infused Gummy Bears take the original gummy candy to a new level entirely. They not only taste great but have personally proved to be awesome for anxiety relief. They’re available in 100 and 300 mg bottle options, with each gummy bear containing 10 mg of CBD. Prefer a bit more sour in your gummy? Medix has you covered. Their CBD-Infused Sour Bears and Sour Snakes have a powerful sour punch and contain 10 mg of CBD per serving. Like the “original” gummy bears they produce, both their sour bears and sour snakes are available in 100 and 300 mg options. 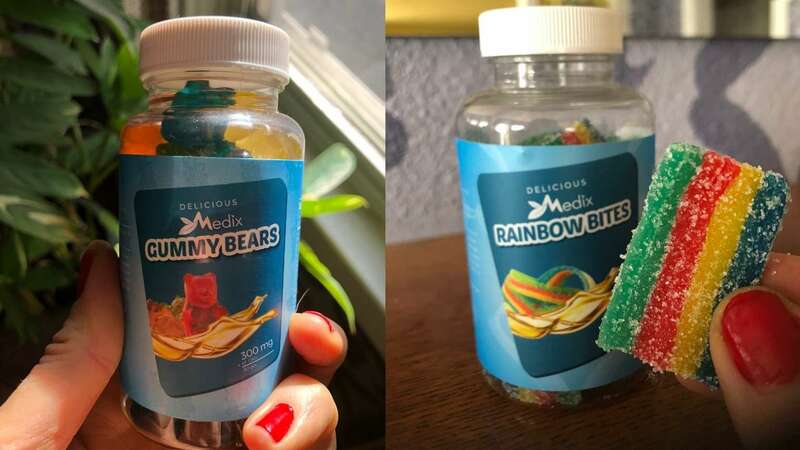 Our favorite gummy product from Medix CBD is their Rainbow Bites, though. Maybe it all comes down to personal preference and what kind of “taste” you prefer for your gummy candy, but these were the ones we had to force ourselves to stop feasting on after trying just a few. They’re the perfect balance of sweet and sour, with each containing 10 mg of CBD in 100 and 300 mg bottle options. Whether looking for anxiety relief or just an enhanced version of your favorite occasional sweet tooth indulgence, these gummies could be just what the ( CBD) doctor ordered. *Note: All Medix CBD gummies contain additional ingredients like corn syrup, sugar, and artificial colors and flavors. Each also contains wheat. If you’ve got food allergies or sensitivities to wheat, corn, sugar, and artificial colors like Red #40, Blue #1, and Yellow #5, it’s important you know these ingredients are present in all of Medix CBD gummies. Like most CBD companies, Medix CBD offers CBD oil in the form of a tincture. Because they realize that every one of their customers has different needs when it comes to CBD, they offer bottles ranging in dosages from 100 – 4,500 mg per bottle. That’s right. 4,500 mg per bottle for those who need it most. We tried their 500 mg CBD oil tincture. While we found it to work fine, it tasted a bit “grassy” compared to other tinctures we’ve used. While Medix CBD tinctures aren’t flavored, they do contain a distinctive plant-like taste. If you like earthy tasting foods and herbal teas, you’ll probably enjoy the flavor. However if you’re averse to those types of flavors, you may need to seek out a flavored option from another good CBD brand for your CBD tincture needs. While Medix CBD doesn’t sell vape pens, they do offer two CBD vape oil cartridges, both in 250 and 500 mg cartridges. Their “Focus” vape oil contains a natural blend of full-spectrum CBD along with terpenes known to improve concentration and help you stay focused including pinene, limonene, borneol, eucalyptol, and caryophyllene. They’ve also got a “Sleep” vape cartridge formulated with full-spectrum CBD and relaxing and calming terpenes including linalool, myrcene, terpineol, linalool, nerolidol, borneol, and caryophyllene. *Note: You’ll need to purchase your own vape pen in order to use Medix CBD vape oil cartridges. While we didn’t try Medix CBD Oil for Dogs on our own pets, they have created a line of CBD oil for your dogs enriched with a bacon flavor they’re sure to love. 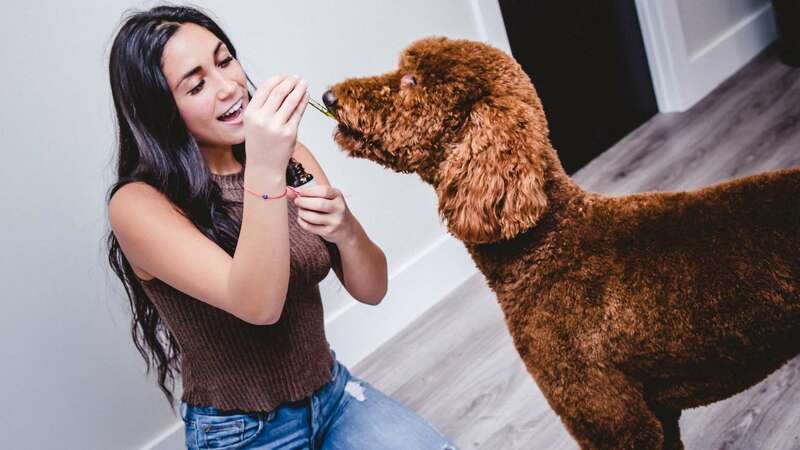 While more research is undoubtedly needed, clinical studies show that CBD can be just as effective for pets as it is for their owners. The American Animal Hospital Association (AAHA) recently published a research report highlighting various clinical trials that have taken place on animals and CBD. The evidence is there, more studies are simply needed before CBD is accepted as a legitimate medicine for dogs and other animals. 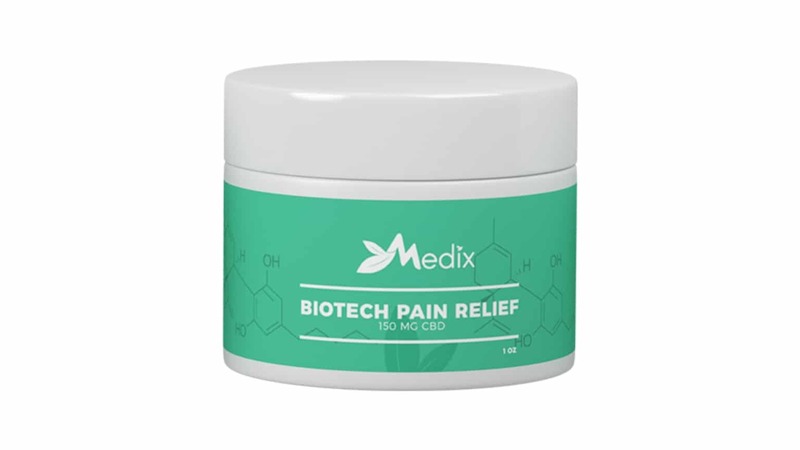 Last but not least, Medix CBD offers a one-ounce, 150 mg strength CBD Pain Relief Cream. While we can’t speak from experience for Medix CBD specifically, CBD topicals we’ve tried in the past have offered some of the same results as those stated in their reviews. At CBD School, we’re passionate about CBD and hemp. We’ve made it our mission to find the best available products and CBD coupon deals and pass them on to our audience. 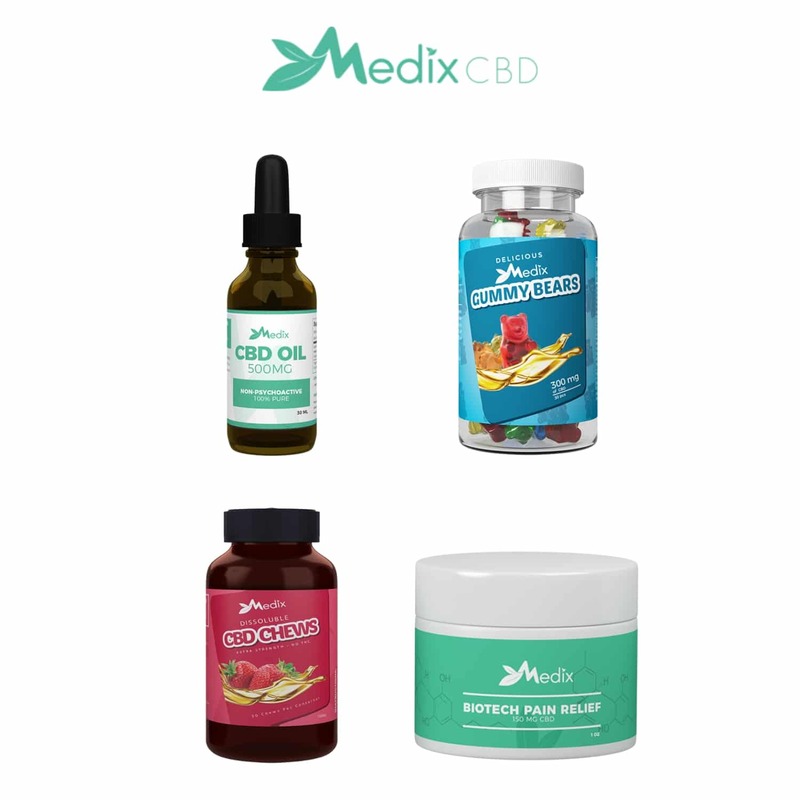 Medix CBD is a new company that is doing their best to make a mark on the world by offering CBD products derived from quality, Kentucky-cultivated hemp. Medix is on a mission to change the way people view natural medicine to show them that harsh chemicals don’t have to be the answer. 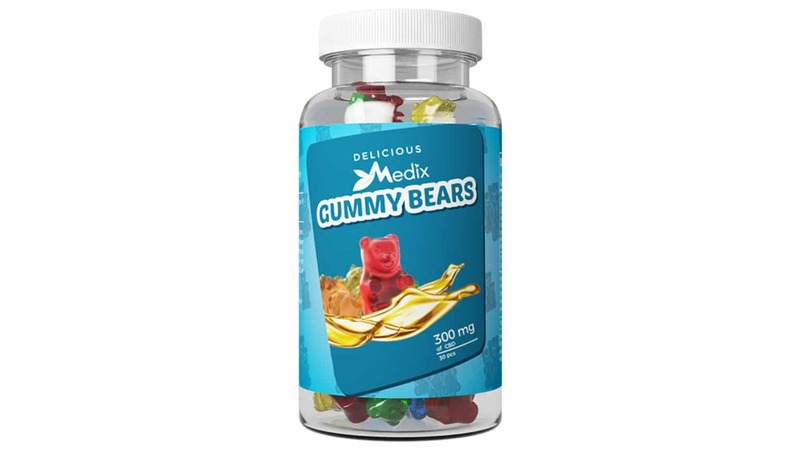 If gummies are something you enjoy, you’re going to love the selection from Medix CBD. Not only do they taste friggin’ amazing, but there’s seriously a flavor for any kind of gummy connoisseur. Sour, sweet, or something in-between, and each contains 10 mg CBD that can be taken with you wherever, so you can get your CBD in on the go. They are definitely one of our new fav CBD gummies. One of the best things about Medix CBD (aside from their gummies) is their price. CBD can get expensive, and Medix CBD has a price point that will fit just about anyone’s budget. Gummies range from $15-$50, while their CBD oil starts at just $26.99. Their CBD Pain Cream is available for $35.99, but when you think that a little can really go a long way when it comes to topicals, you’re getting a great deal. Overall, Medix CBD offers a quality product we’re proud to review at a great price. And if you’re not happy with your purchase for some reason, Medix CBD offers a 100% money-back guarantee with a full refund within 30 days. They also offer free shipping in the US on all orders over $100. Previous articleCBD vs THC – What does it matter?